what kind of car should you choose? But the advantages go beyond just the financial. Offering cars to your employees can be a low-cost reward, a company perk that not only boosts morale among your existing workers but enhances your strategy for recruiting new employees. Employers can provide employees with cars under a salary sacrifice scheme which sees employees give up part of their salary in return for a benefit – in this case, the opportunity to own a car. This is the most popular arrangement in the UK, with around 80% of businesses opting for contract hire when setting up a scheme. Select your cars, choose your lease term and estimate your annual mileage. Contract hire is simple to set up and manage, but penalties will be charged if you exceed your mileage quota. A contract purchase agreement sees the business put down a deposit for a brand new car before paying fixed monthly instalments based on a monthly contract (often between 24 and 48 months). Businesses have the option of purchasing the car outright when the contract expires provided all terms have been met. Under an employee car ownership (ECO) scheme the employee assumes ownership of the vehicle. The employer will deduct monthly repayments from the employee’s salary to cover finance maintenance costs. The amount will be based on the employee’s tax bracket and annual business mileage. Employees will not be charged benefit-in-kind tax under an ECO agreement. Similar to a contract purchase agreement, a finance lease allows you to pay for the car in fixed monthly instalments (on top of the initial payment). Unlike a contract purchase, the business will never assume ownership of the car. Finance leases may also be more flexible with their repayment plans. 2 things must be taken into consideration when deciding which cars to include in your scheme. Firstly, it must be fit for purpose (although your employees may like the idea, no Lamborghinis or 1957 Ford Thunderbirds). On a more serious note, it’s important that you ensure that your vehicles will be able to meet the needs of your employees. If you’re thinking of going second-hand, it’s imperative that the car is in working order, has no defects and will not require extensive maintenance in the near term (merely being ‘roadworthy’ is below the minimum requirement). Emissions are the second and perhaps more important factor to account for. Vehicles are taxed according to their rate of CO2 emissions; the higher the CO2 levels, the greater the tax charge. It is your employees who will shoulder the benefit-in-kind tax bill, and the greater the emissions of the vehicle, the lesser it benefits them. Maximise the utility of your scheme by choosing low emission vehicles. Class 1A NICs are paid on the taxable value of cars and fuel provided for employees. The rate is 13.8% and employers must use the car benefit and fuel scale charges when doing calculations. Certain schemes – such as salary sacrifice – will reduce employer NICs by lowering the employee’s pre-tax salary. Company cars are eligible for capital allowances provided they are used solely for business purposes. This enables you to deduct some of the expenditure from your pre-tax profits. Company cars are excluded from the annual investment allowance, so you must claim using writing down allowances. The deductible amount will depend on the age of the car and its emission levels. From April 2016, employers are able to claim enhanced capital allowances (ECAs) in addition to the standard allowances. ECAs enable you to claim a 100% write-down for the first year of ownership. Qualifying vehicles must be electric or emit ultra-low levels of CO2 (75g/km or under) as well as being brand new. VAT can be recovered on fuel used solely for the purposes of business. This also applies when fuel is paid for by an employee and claimed on expenses. VAT on fuel bought by employers for private use can be recovered, but it must be paid using the fuel scale charges (based on CO2 emissions). Employees receiving a car will have to pay tax on the benefit and the fuel used for travel. The rate of tax is determined by the amount of CO2 emitted by the vehicle. 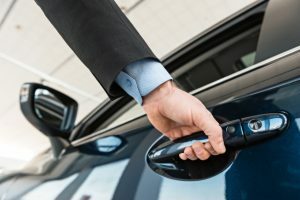 paying for fuel used for private travel. These rates range from 7% (for the least polluting cars) to 37% (for those with the highest CO2 emissions). A further 3% is levied on diesel engines up to a maximum of 37%. the car is a pool car used by more than 1 employee. The tax charge on fuel will be the same as the charge for car benefit and therefore will be lowest for cars with low emissions. You’ll need to calculate the taxable value of each car on your annual P11D form, while employee tax records have be amended to account for NIC and VAT changes under some schemes. Company car schemes can be a complex aspect of business management. Seeking professional advice is essential before making your final decision. Speak to an adviser about 2016/17 car benefit tax rates.